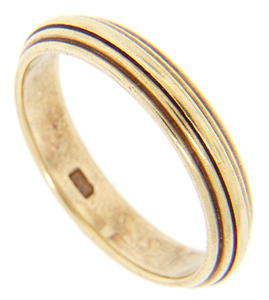 This 14K rose gold men’s estate wedding band has progressively raised ridges as they near the center of this ring. The ring measures 4.5mm in width. Circa: 1970. Size: 10. Cannot be resized.